I’ve never been much of one for herbal supplements or all-natural cures. Half the time, I can’t even tell if a pill is actually effective or a placebo whose effect is all in my head. Vitamins, over the counter drugs, and other supplements seem like a strange thing to run to when something doesn’t feel right. After all, we have lived successfully for millenia without them. Last week, I was invited to partake in a natural drug called Kava (or Kava Kava more commonly). Though it can be purchased in pill form, it’s traditionally a powder made from a ground up root, soaked in water and drunk. Our Master of Ceremonies, Peaceful Steve, had spent two years in Fiji as a teacher. There, he participated in Kava drinking during parent teacher meetings. Eventually, he brought the tradition back here. SIDE NOTE: I have a very specific criteria in relation to what I put in my body. If it’s not prescribed by a doctor for a specific purpose, it must: a) be naturally occurring, b) have temporary effects, and c) be endorsed by someone I trust. To be more specific, naturally occurring does not mean all-natural. LSD for instance can be found in ergot, a mold that grows on bread, though it’s rare there’s enough to have an effect. LSD, however, can have permanent effects in the form of acid flashbacks, since some of the drug can get trapped in the spinal column. Therefore, LSD is a no go for me. Opium, on the other hand, is a plant, only lasts X amount of hours (though there is an after-effect), and is endorsed by several friends. Therefore, it’s on my “OK to Try” list. That doesn’t mean that I’ll smoke opium willy-nilly since it’s still highly addictive, but on occasion, I’ve been known to sprinkle a dash or two on some pot and enjoy the conflicting highs. After a quickly grilled up dinner, and I headed over to his Kava drinking friends apartment for the festivities. I wasn’t quite sure what to expect, as it was a drug I had never tried before. Given the fact that it’s a natural herb and that enjoyed it previously, I could only hope it would be an enjoyable experience. SIDE NOTE: Those of you who read regularly have noticed that has begun to show up more frequently in my posts. Throughout my life, I’ve had different groups of friends who have served different purposes. When I was in high school, in addition to my male friends, female friends, sports friends, school friends and gamer friends, I often enjoyed spending time with my parents friends. It allowed for intellectual discussions and much more thoughtful interaction than I often received with my other groups of friends. (Which, of course, isn’t to say the others weren’t capable of that kind of interaction, but rather that it was simply not something came up often.) Now that I’ve reached my mid-20s, I no longer have need of making these connections through my parents. Via the board games group I play with, and I have begun hanging out, filling that oft missed role of intellectual discussion (which I’ve only really had with Ironman for the past several years). So when offers up a new opportunity, I’m generally chomping at the bit to try it, since even if it isn’t necessarily enjoyable in itself, it often leads to interesting commentary and discussion. Upon arriving, I immediately noted the small child playing in the midst of the living room, her stuffed animals splayed across the floor. I knew beforehand that the people we were joining were going to be older than I am, but I hardly expected a night of Kava to have a small child there (and, just to reassure some of you, her parents were adamant she get nowhere near the substance once festivities began). After a half hour of chatting and a very nice cup of tea (as well as several stuffed animals including Big Bird piled on my lap by the little one), our Master of Ceremonies arrived. He came in bearing a large wooden bowl, three coconut shells, and a plastic bag containing what looked like a tie die bandanna and some coarse white powder. A blender pitcher full of water waited patiently at the side. “No, this is my first time.” He smiled and took a deep breath. “Kava is a social activity,” he said, carefully emptying the powder into the bandanna. 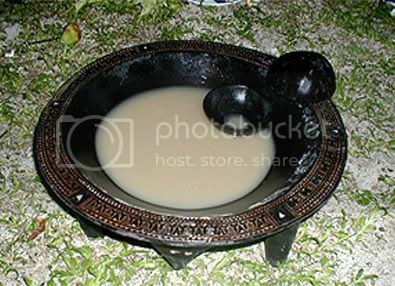 “In Fiji, where I taught, it was customary when visitors were in a home in the smaller villages.” He carefully poured the pitcher into the large wooden bowl, filling it midway. “It calms and relaxes you. But it doesn’t take away from your mind.” I watched as Peaceful Steve pressed the laden bandanna into the water, the silty powder slowly sifting into the water and turning it a murky brown. “It’s very much a body high,” added . “I brought dried pineapple for the aftertaste.” He reached into his bag and set out several pieces of pineapple. I broke off a small piece for the little one, who had seated herself on her mother’s lap. Peaceful Steve rung the bandanna, squeezing the excess water out of the mass of power. “We used cheese cloth,” the little one’s father said. “It seems to work.” His eyes were firmly fixed on the bandanna as he returned with another pitcher. Peaceful Steve poured the water in, filling the bowl nearly two thirds and slowly repeated the motions, his arms moving smoothly, ritualistically. Dip, swish, squeeze. Over and over. The water turned a murky tan, the powder supersaturated. With one last squeeze, he emptied the last of liquid into the bowl and placed the bandanna into the plastic bag. As I sat there, transfixed at the process, and the parents continued to chat quietly, the music swaying softly behind them. Without a word, Peaceful Steve took a coconut shell and began to stir the grog, ripples rebounding off the worn wooden sides. Carefully, he scooped up some of the liquid and poured it from the coconut shell he stirred with into the other shell. The little one restlessly stood between her mother and me, slowly nipping at a small piece of dried pineapple. Her mother leaned in, grasped the coconut shell with both hands, nodded to Peaceful Steve and slid the drink to her lips. In one long drag, she emptied the small bowl. With a deep thump, Peaceful Steve clapped three times before reaching to take the coconut back, the little one’s father joining in for the latter two. “It’s tradition to drink it all in one go,” said the little one’s father. “Why do you clap?” I asked. “It’s a tradition. It’s not quite a clap. In the Kava bars on Fiji, you clap when you’re finished and then others join you. It’s more of a symbolic gesture than a clap.” Peaceful Steve clapped again showing me, his palms slapping together firmly yet softly, as though the pop were merely an unintended consequence. I pondered this as I watched Peaceful Steve stir the liquid, the slit looping complexly across the bowl as the liquid gently lapped the sides. Peaceful Steve leaned across the bowl, gesturing for me to take the shell. I grasped it in both hands, slowly bringing it up toward my face, my eyes watching their reaction. As it neared my lips, I smelled the liquid for the first time, it’s scent mimicking cardboard to my delicate senses. I glanced quickly at the pineapple, wondering if it would be necessary. I licked my lips and took a deep breath before pouring the grog down my throat. The first taste I noticed was a sharp bitter, much like an IPA. I could feel the grains run down my gullet like muddy rainwater caressing a hillside. In four large swallows, the liquid was gone. Peaceful Steve clapped again as I lowered the shell from my lips. Though my mouth wasn’t dry, the last vestiges of water were not enough to keep the taste at bay. As I swallowed the last bit and handed the shell back to Peaceful Steve, I noticed almost a dry sensation come over my mouth. My lips began to tingle with numbness, my tongue and throat soon following suit. The cardboard flavor filled my mouth, slowly dulling as time passed. I glanced at the pineapple and thought of grabbing it, its sweetness flowing over the strange flavor in my mouth. I listened to the music as my leg began to twitch. My lower back started to tingle and I began to worry if this hadn’t been the best idea. A few moments later, my racing heart had calmed and the tell-tale tingle had faded into sereneness. Slowly, the shell made the rounds until all five of us had finished drinking. The conversation flowed from how people knew each other to the music to politics, philosophy, and religion. Occasionally, the little one would interject herself into the midst of our circle, passing stuffed animals to us and asking for more pineapple. In four rounds, the bowl was empty. The little one was taken up to bed, though she would not remain there. As we refilled the bowl for the second time, repeating the careful preparation, we discussed Tuvan throat singing (which I had only recently discovered thanks to a website dedicated to auditory illusions). We talked about concept albums and The Streets’s A Grand Don’t Come For Free. And as the conversation snaked from one topic to another, I felt a serene happiness wash over me. As we closed the night, the little one returned, her entering wisdom teeth keeping her from remaining asleep. “So what did you think of Kava?” asked the little one’s mother. “I think I liked it,” I said as I stood up. “But I’m having difficulty separating the effects of the drink and the enjoyment of the conversation.” I could feel the rush of blood to my head. “They’re intrinsically tied,” said Peaceful Steve. “The conversation would not happen if we hadn’t gathered around the Kava. And the Kava wouldn’t have affected us so without good company and conversation.” I smiled at the thought. We stood at the door, shaking hands, saying our goodbyes. The little one got a hug from each of us as she turned to us one by one, arms outstretched. And with that, we wandered out into the chilly evening air. I could feel a bounce in my step and smile on the cusp of appearing. We drove home, calmly cruising back as we chatted about the course of events. I walked home whistling, enjoying the sparkling starscape above me. As I crawled into bed, I felt the warm grasp of sleep pull me in. What I couldn’t separate the night before was clear the next day. I awoke with a smile early in the morning, never having slept so well. As I biked to work, pushing myself harder than I normally would, I could feel a rhythm to every movement of the day. I smiled at everyone and shrugged off the bad as if it were merely a breeze on a beautiful day. Everything was perfectly in tune it seemed. The following day, it was all back to normal, but by then, it was cemented in my mind that this was the glory of the zen of Kava. For awhile, near the end of my days in high school, there was a Kava craze in herbal fruit drinks. I tended to shy away from all such drinks because they were expensive and most of them contained insane amounts of ginsing and guarana for energy, which would have given me cause to take some of my heart meds if I drank one with too much. But one day when looking for something to drink I found a large one with Kava in it and decided to give it a go. The effects were milder than you described, of course, but I remember thinking whatever was making me feel like this was cool with me despite being completely unexpected. Because of laziness and forgetfullness I didn’t figure out what it was that did that to me until much later, when they had taken all the Kava out of the herbal drinks because people were drinking enough of it to kill their livers. I really ought to try that stuff again. I remember it being so pleasant. Thanks for reminding me of it. Glad to be of service. I’m pretty sure that drinking straight Kava for several hours (especially on a relatively empty stomach) would have a lot more affect than some watered down preproduced drink. Peaceful Steve commented that the concoction was stronger than he liked, but about the same as what they served in Fiji. 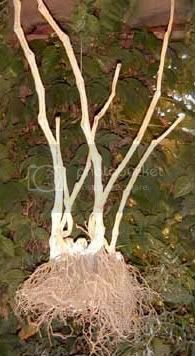 The connection between Kava and liver problems seems tentative at best. The EU at one point had banned the substance (check out the wikipedia entry), but people in the pacific islands drink it often and in large doses with little to no serious effect. At least, I couldn’t find any reliable sources on the liver issue. Oh I wasn’t trying to say that I had a similar experience with the stuff. I’m sure it was very watered down. I was actually shocked there was enough in there to produce any kind of effect at all actually. But what I got was pleasant. Kind of like taking about a 1/4 of a percocet or so. I think the liver problems had something to do with it being mixed with something last I checked. Probably Tylenol. Mix anything with Tylenol and it sends you into liver failure. Anywho, yeah, not saying it’s a credible thing, but they pulled it from all the fruity hippy drinks because of it. I’ll check out the wiki entry and see if I can find the articles I had read about it and get back to you but if anything, I’m sure it’s because people were being dumb. So, do you remember your dreams from that night or had it worn off by the point you were falling asleep? Sadly, not at this point. I remember being really pleased with my dreams, but it wasn’t anything interesting to write home about or I would’ve written them down upon waking. I woke up earlier than I needed to the following day and had plenty of time to write them down.